With one assignment down and two more to go, I felt that it would be more beneficial to comment on some aspects of the week that resonated with me as I move into preparation for the school year. 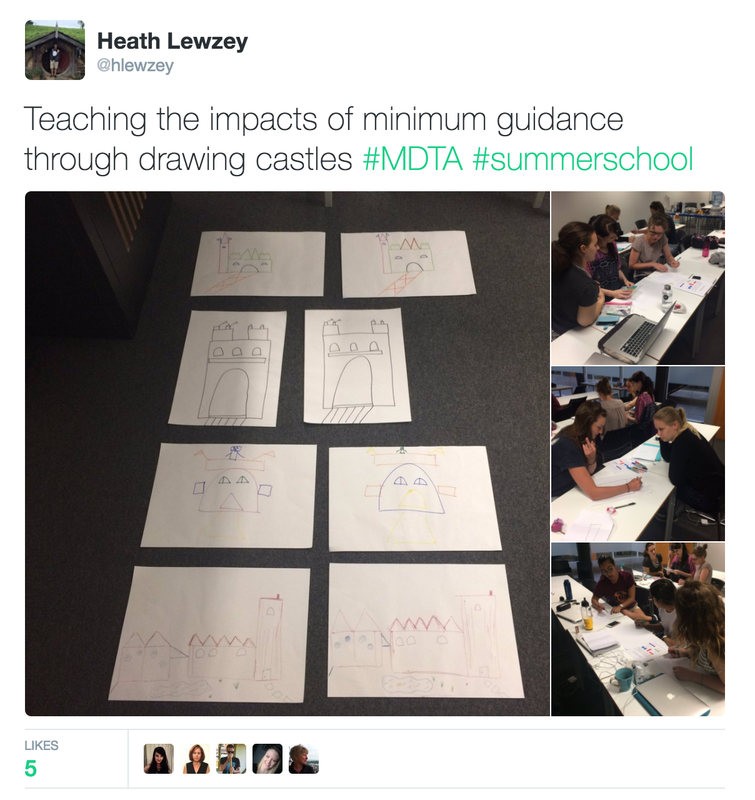 The timing of this course was pretty spot on as I move into my second year of teaching as it helped me reflect on some decisions I had made but more importantly challenge some aspects of my practice that I may have left to habit if I had not taken part in some of the activities. As a group we took part in an activity where we listed all the potential ways in which we use technology in our programmes and what affordance the use of this technology has both on our students and our practice. We were then asked to begin to classify some of these into groups. 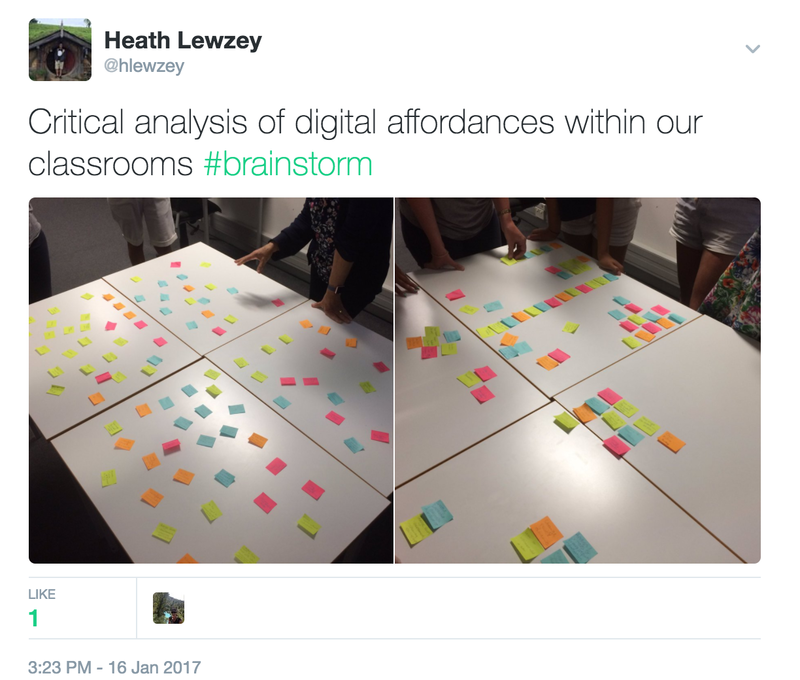 What was interesting was the high percentage of affordances that we chose to classify as "creative" yet we found it difficult to come up with many affordances that help us with assessment or streamline any tasks within our practice. I feel this speaks to how we are wanting to create exciting opportunities for our learners. 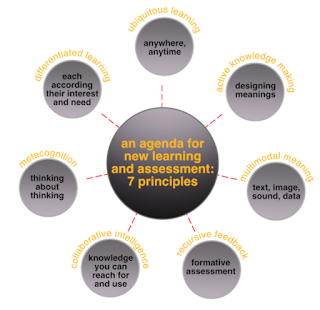 Something that I will be thinking about creating in my practice this year is looking to see how I can use some of these affordances to bridge the gap with assessment and can I use technology better to help build the capability of my students to gain confidence in not only recognising their own assessment data, but how we can use this together to identify ways in which we can address gaps in knowledge and work towards those goals. We spent the afternoon exploring the below diagram, based on the work of Cope and Kalantzis (2015). A lot of the terminology resonated with the goals of the cluster so it was great to get another perspective. Again this has me reflecting on ensuring that my students have ways in which they each feel confident in approaching their learning. While the technology is the platform, it is not the centre of focus for our learning and as new forms of affordances become available, it is key to remember that the learning itself is not in the device. We also looked at some different theories behind the design of learning and some of the points really hit home with how I have currently been designing learning for my students. 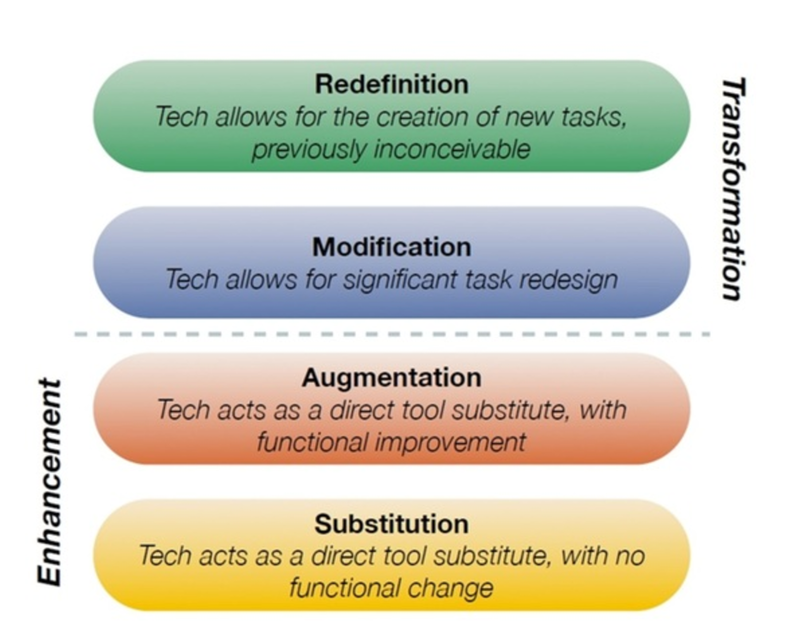 We investigated the SAMR model which was something I had studied at university however looking at it again after having taught for a year really helped open my eyes to some truths. 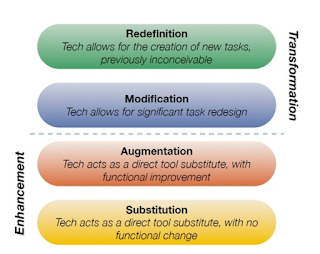 I found myself reflecting on how I am tend to bring technology into the classroom as a form of substitution (ie, using Google Docs as a form of collaboration when kids can use pen and paper). Part of this I have attributed to myself learning the various ways in which particular technology works and now that I have that base understanding, I feel that I am more confident to start to investigate on how I can use technology to either augment, modify and/or redefine my design of learning with my students' needs in mind. I still have two more assignments to complete for Summer School in which I need to explore other blogs to see how I will use the affordance of blogging and information sharing to enhance my own practice. The final assignment has us looking at how we have been using technology (for example, Google Sites) and if there is anything we would amend or update based on the learning we have had this week. I will update you in a few months on how these assignments help influence my thinking as Term One approaches. When the alarm clock went off this morning, I will admit that I looked at it in disbelief as we started our week long EDCURRIC 720 course. This paper is focusing on digital pedagogy and how we will incorporate this into our practice not only for the upcoming year but further in our practice. We were set with the task to present an activity based on one of nine readings that we are to complete for the course. I chose a reading that looked at the role of minimal guidance and some of the thoughts behind whether this is beneficial in inquiry based learning. I chose to run a few different tasks to help the group see what insights I had gained from the reading. After our presentations, we looked into learning theories to help us build the foundation for the remainder of the week. After the shock of having to rely on an alarm clock again, I am grateful for the combination of running the activity and building my knowledge of learning theories as I am feeling that this week is really going to kickstart my practice this year. Stay tuned for some more instalments from this week!